It wasn't pretty, but the Clinton vs. Trump battle offered a case study in how (not) to act online. Today, the 2016 presidential race comes to an end (right, Donald?) and with it, the most intensive period of sustained social media debate since the dawn of MySpace. 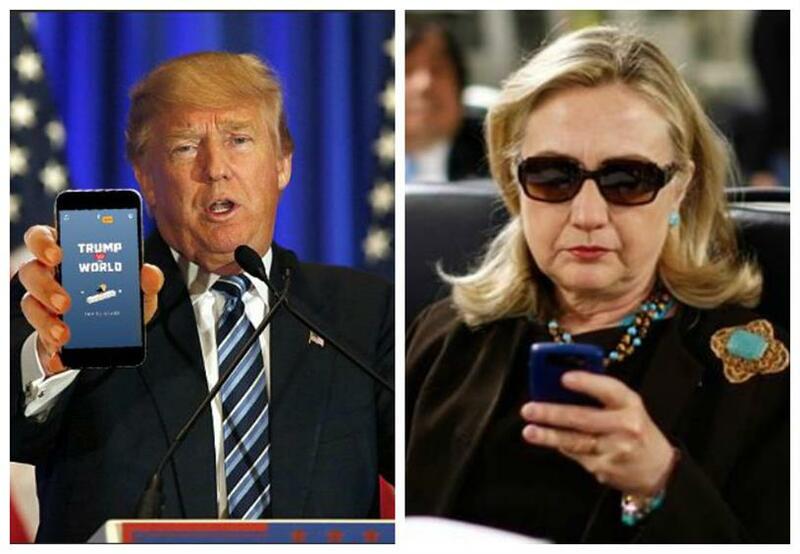 Over the last 18 months, Donald Trump has garnered more than 229 million mentions, while Hillary Clinton has earned 127 million, according to Brandwatch. If it feels like you’ve read every one of them, you're probably not alone. Is there anything to be learned from all this? We think so. Here are some takeaways from social media experts who have managed to separate the signals from the noise. With a firebrand like Trump running for office, many early observers suggested corporate America would sit on the sidelines, not wanting to get their brands mixed up with the ugliness. And true enough, many major advertisers pulled out of the Republican National Convention. But online, brands from Excedrin to Johnnie Walker to Snapple decided to wade in, and typically found a receptive audience. "Brands need to get comfortable with the uncomfortable, loosen up their corporate lawyers and start talking to people in these raw social media environments," said Matt Ross, advertising director, AOL. "These platforms are where the eyeballs are and being an early brand in that environment will be rewarded with loyalty. When Trump announced his candidacy in June 2015 by calling Mexican immigrants rapists and drug smugglers, many thought it represented a low point in American electoral rhetoric. As we now know, it was only the beginning. By the time the general election was in full swing, a horde of racist, anti-Semitic Trump supporters were openly harassing nearly anyone on Twitter who dared criticize their candidate—and the platform seemed either unable, or unwilling, to do anything. "Social media is the thing that has allowed Trump to stoke up extreme views and hatred because it's unchecked," said James Cooper, head of creative at Betaworks. "Before if you were crazy and thinking of doing crazy stuff, you had to keep a lid on it, otherwise the authorities would raid your home." But unchecked social media has allowed such hate to flourish in the open. Add to that Facebook's growing problem with fake news and it becomes clear these social networks have to get serious about housecleaning. "Seems like Facebook and Twitter don't really care—at least not enough to do anything serious about it," said Cooper. That’s an impression they need to change. Speaking of Excedrin, Bhaya Nabis, managing director of the brand's media agency PHD, said the idea for its #DebateHeadache campaign started with one simple insight, garnered though social listening: A lot of people were saying the election was giving them a headache. "That insight led us searching for platforms where we could insert ourselves into cultural conversations," said Nabis. "Twitter seemed like the right place." But it wasn't as easy as that. "We were surprised at how hard we had to fight to get the Promoted trend on that day—several advertisers were vying for that spot and we had to compete hard to own it." "Seeing how immensely successful the effort was, we're glad we won that fight," Nabis continued. "No. 1 lesson in all of this? When you hit upon a great idea, act fast or someone else will run with it." One of the more fascinating aspects of Clinton's advertising strategy was a lack of scripted spots. Instead, she relied heavily on supercuts of her opponent's controversial remarks, compiled quickly and released on social channels almost immediately. "This election has certainly taught us that speed is the most crucial piece of a successful social campaign," said Jen Catto, CMO, Tremor Video. "When candidates, or even brands mocking candidates, were able to quickly develop social video ads, they garnered far more attention." "Tapping into the power of programmatic helped give these videos legs, and meet politics' precise targets," she added. "Modern politics is crazy, and doing social during an historic national election like this one can be really challenging, especially if you're doing an election tie-in or a spoof," said Erich Hartmann, group creative director, Merkley + Partners. "But as partisan as we can all be sometimes, brands have to remember that consumers are all still humans who still respond to those tried and true human things: truth, emotion, fun, delight, etc." Merkley client Florida's Natural took the risky step of launching its decidedly silly "Great Pulp Debate" campaign when the national conversation was anything but lighthearted. But the response was nonetheless positive. "That's always the kind of content we like and share, and in times like these, if brands do it well, it's the kind of content that can be a welcome distraction," Hartmann said. Skittles and Tic-Tacs found themselves dragged into two very unpleasant moments in this campaign. Both issued sensible but sharp-worded rebukes. Mars, Skittles' parent company, reminded Eric Trump that "Skittles are candy; refugees are people." And Tic-Tac called Donald Trump's comments about women "completely inappropriate and unacceptable." "When something political is said that is seemingly from a brand, but is likely the result of one individual's negligible actions, it is important for the company to take a quick, clear and public approach in separating themselves from who said it and clarify their own views," said Michelle Pigott, social strategist, Iris Atlanta. "This is extremely relevant for franchise and wholesaler models where the brand voice is given to a myriad of people—some, which could be, loose cannons." This one would seem like a no-brainer, but apparently it needs to be said. Same goes for texting.